Sainsbury's has released a joyful stop frame animation ad that says the best gift you can give your family at Christmas is your own time. "The greatest gift" ad features protagonist Dave, a hard-working dad who, in the run up to Christmas, is feeling pressured to meet all his commitments. When he arrives home late and finds he has missed his children’s bedtime, he spots a gingerbread man they have made in his image. He suddenly has an idea, that actually the best gift he can give them is his own time. So he makes several clones of himself – a tapping monkey, a nodding dog, a toy plane, a dancing robot – and sends them to all the places he should be instead. This leaves him free to play with his children. The soundtrack was composed by Bret McKenzie (best known from The Flight of the Conchords) and is sung by James Corden. The models for the ad use full colour 3D printed faces – the first time these have been used in an animation production in the UK. There were 800 faces with different expressions printed just for Dave, and 1,700 faces in total. The ad was created by Abbott Mead Vickers BBDO, its last for the retailer after it shifted its creative account to Wieden & Kennedy, ending a 35-year relationship. The full version of the ad (three minutes, 20 seconds) will be shown on Sainsbury’s Facebook, Twitter and YouTube channels. It will air three times on TV in total – the first time at 9.15pm tonight on ITV during I’m a Celebrity…Get Me Out Of Here!. The animated world will also feature in a series of shorter 60 second ads, which will showcase the food on offer at the retailer during the festive season. These will launch on 18 November. Sainsbury’s has also created some ad-related merchandise to sell in store. All profits from the sale of the specially created gingerbread Dave (£1 retail price – 50 pence profit) and a stop frame film animation kit (£5 – £2 profit) will go to Great Ormond Street Hospital Children’s Charity to provide accommodation for families of children at the hospital. Customers will also be able to donate money to the charity at the till. Sainsbury’s head of broadcast comms, Sarah Kilmartin, said: "Christmas is for Sharing has been a constant theme for our Christmas ads for the last three years and it continues to have real resonance for our customers. "This year is no exception and we think many families will be able to relate to the idea that Christmas can be such a busy time that it can be hard to prioritise simple family time together. We hope our advert will remind people of that while providing some light hearted entertainment for the whole family to enjoy." The copywriter for the ad was Richard McGrann and the art director was Andy Clough. It was directed by Sam Fell through Passion Pictures. All the puppets were built by Mackinnon and Saunders in Manchester, and the sets by Clockwork Frog in Stockport. 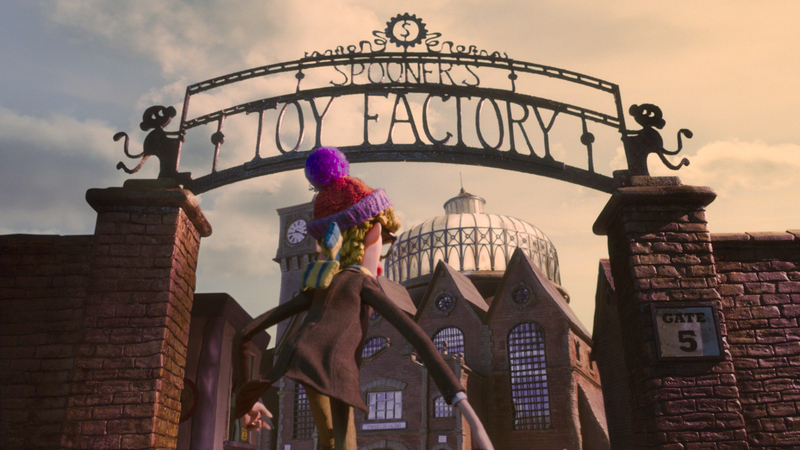 The stop motion sequences were filmed at Malcolm Ryan Studios in London. PHD is the media agency. Tim Johnson, the chief executive of Great Ormond Street Hospital Children’s Charity, said: "At Christmas, time spent with the people you love is precious. For the families of patients at Great Ormond Street Hospital who are unable to go home at Christmas, this is particularly true. "More than half of the patients at Great Ormond Street Hospital live outside of London, and many are hours away from home. The money raised will enable us to help more families be together when they really need to be, by providing dedicated accommodation close to the hospital." Ad Pulse: will it be a Christmas to remember for M&S?